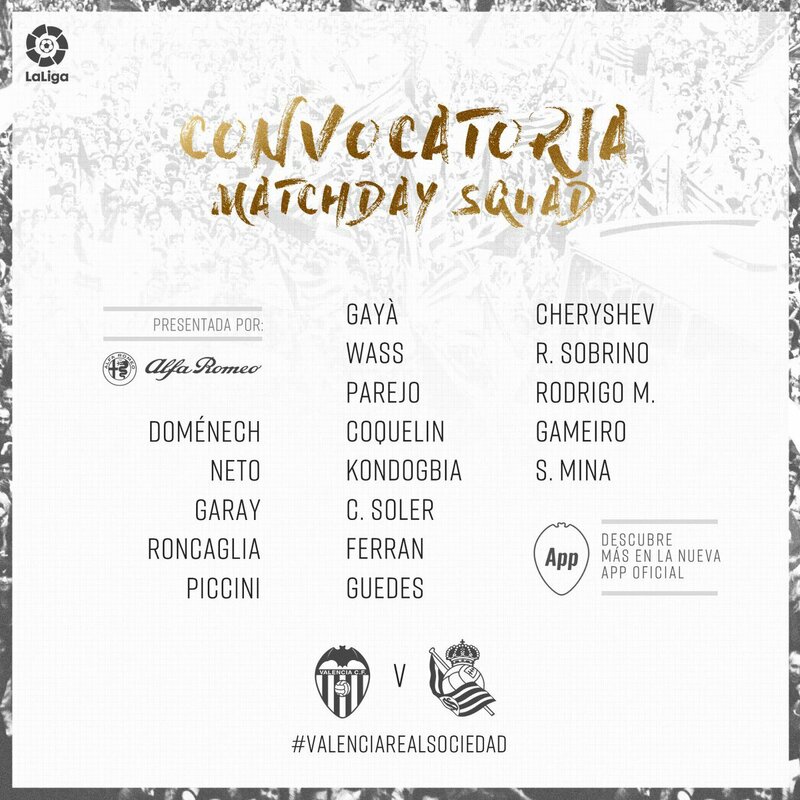 Valencia CF coach Marcelino has named his squad for Sunday's game against Real Sociedad (4:15pm CET). Gabriel Paulista is unavailable through injury, whilst Mouctar Diakhaby is suspended for the Matchday 23 encounter. Good news comes in the form of Gonçalo Guedes' return to the squad.